John Szudera holds licenses in marriage and family therapy (LMFT) and clinical counseling (LCPC). He grew up in Montana where he earned his undergraduate degree in psychology at Carroll College. As an undergraduate he presented at regional conferences and interned with the Bureau of Juvenile Corrections where he began working with adjudicated youth as a mentor. From there John continued his personal development in a residential treatment center for children with chronic mental illness and as a Family Support Specialist providing parent education, school support, and developmental evaluations for families of children with disability. John and his family moved to Idaho in 2007 and he was certified as an Intensive Behavioral Interventionist and a Developmental Specialist through the state of Idaho. He collaborated with several schools to address safety and behavioral concerns as well as providing educational supports to address student learning. 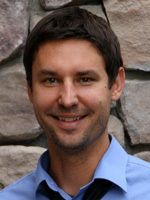 He studied at Northwest Nazarene University and received a master’s of science in Marriage and Family Therapy. John enjoys working with families, couples, children, and adolescents through strength based approaches including Adlerian and ACT treatments. His family-based specialties are parenting, improving child relationships, creating martial wellness, autism spectrum disorder, anxiety, depression, attention deficit hyperactivity disorder, self-esteem, and social skill development. Individually, he works with adolescents and adults to embrace their struggles and move toward their value sets. In his personal life John spends much of his time with his wife and three children on the Oregon coast and in Idaho camping, fishing, hiking, and running.